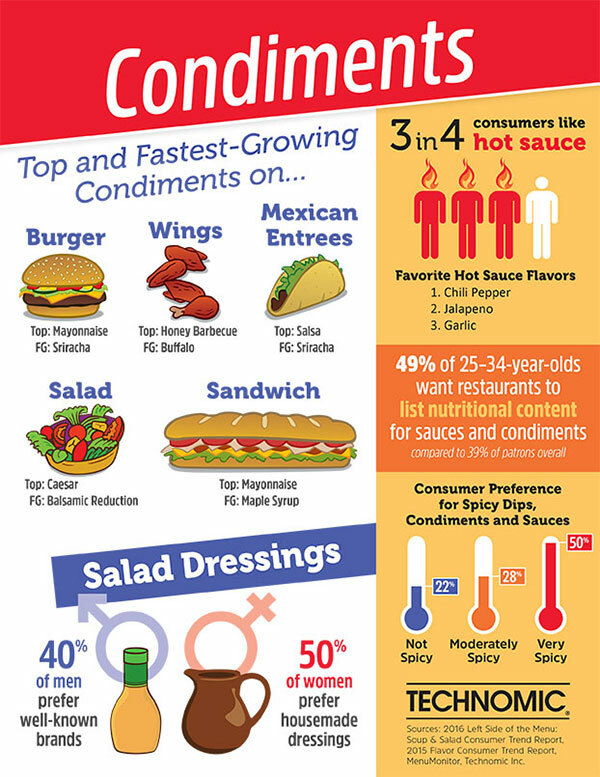 An easy way to offer more customization is to provide more condiment choices, restaurateurs report. Which ones are most likely to find favor with guests? Technomic research provides some answers.